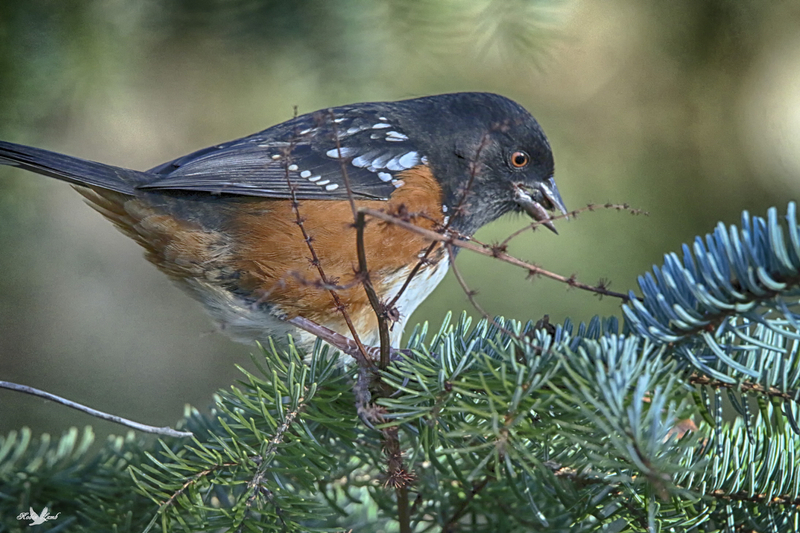 A Spotted Towhee usually a quiet rustle in the undergrowth, but today in a Pine Tree feeding on Sunflower seeds left by a kind passerby! This entry was posted on 2014/12/07 by Robin. It was filed under Birds, Towhee and was tagged with B.C., Ladner, Reifel Migratory Bird Sanctuary, Spotted Towhee. A beautiful Towhee, good looking and fantastic. A beautiful bird I have never seen. Pat, they are very pretty, aren’t they! I love the colours!